Looking for a way to enhance your home’s exterior? 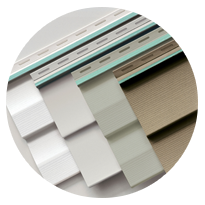 Look no further than Window World of the Lowcountry‘s industry-leading vinyl siding.Built to protect your home from any harsh outdoor elements, our vinyl siding options are the perfect choice for any homeowner. Our trained professionals will work closely with you to help you decide which siding style will best fit the needs of your home! Serving the greater Charleston area and other surrounding counties. Window World of the Lowcountry is proud to offer our customers the best in the vinyl siding industry, which is why we carry the Prodigy® Insulated Wall System. Each Prodigy profile (Single 7, D6 Clapboard, D5 Dutch lap) offers unique benefits to lower your energy costs. 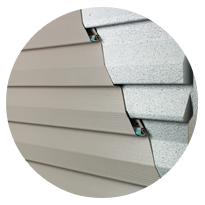 The Prodigy Insulated Wall System doesn’t just sound great — it’s the most advanced vinyl siding on the market. The thick EPS foam insulation, up to 1 – ½” thick, provides increased insulation value, to seal in comfortable air and reduce high energy costs. And, living on the east coast, Charleston residents know a thing or two about hurricanes. The strength of the Prodigy Insulated Wall System can withstand the elements and protect your home now, and for years to come. All of our products come with a Lifetime Transferable Warranty, so that our customers can rest assured that we stand by our work. Browse our options to see which siding best fits your needs! Can’t decide? Contact the team at Window World of the Lowcountry in Charleston, and one of our trained professionals will happily answer your vinyl siding questions. Window World of the Lowcountry’s Window World 4000 Energy Plus Vinyl Siding is engineered energy efficient to protect your home in a number of ways. Its premium 1-1/4” thick contoured insulating underlayment is designed to wrap your home securely in a blanket of insulated protection. With a Perm Rating of 5, Window World 4000 Energy Plus Vinyl Siding is not only energy efficient but is also moisture resistant allowing your exterior walls to breathe freely. Perfect for the moisture-heavy air in Charleston and Mount Pleasant. 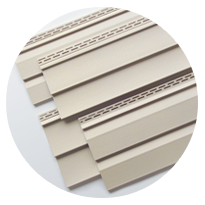 Window World 4000 Reinforced Vinyl Siding is an incredibly strong product due to its advanced locking system. Amazingly, this product has been independently tested to withstand the wind, rain, and other harsh conditions associated with the category 5 hurricanes common to Charleston (155 mph winds and catastrophic rainfall).